Goiter is a condition characterized by the swelling of the thyroid gland that causes a lump to form in the front of the neck. The thyroid gland is a small butterfly-shaped gland in the neck. It is responsible for producing thyroid hormones, which help regulate the body’s metabolism. The most common cause of goiters globally is the lack of iodine in the diet. However, in the U.S. goiters are more often a result of the over- or underproduction of thyroid hormones or to nodules that develop in the thyroid gland itself. Other causes of goiter include Graves’ disease, Hashimoto’s disease, multinodular goiter, solitary thyroid nodules, thyroid cancer, pregnancy, and inflammation. The most common side effects of goiter include swelling of the thyroid gland, throat symptoms of tightness, cough, hoarseness, difficulty swallowing, and difficulty breathing, possibly with a high-pitch sound. However, most goiters do not produce side effects. Other symptoms may occur due to underlying causes of goiter. For example, when a goiter is due to an overactive thyroid, it can cause nervousness, palpitations, hyperactivity, increased sweating, heat hypersensitivity, fatigue, increased appetite, hair loss, and weight loss. When a goiter is caused by an underactive thyroid, it can cause symptoms such as cold intolerance, constipation, forgetfulness, personality changes, hair loss, and weight gain. One of the body systems harmed by goiter is the endocrine system as it affects the thyroid gland that produces thyroid hormones. Goiter also harms the digestive system, as it causes swallowing problems. The respiratory system is also harmed by goiter as it causes breathing difficulties. Since goiter is commonly a result of iodine deficiency, the foods that can prevent goiter are iodine-rich foods. Foods rich in iodine include sea vegetables, such as kelp, arame, hiziki, kombu, and wakame, cranberries, organic yogurt, navy beans, strawberries, raw, organic cheese, and potatoes. Goiter can be treated naturally with the use of garlic, herbal mixtures, green tea, kelp, and bladderwrack. Other treatment options for goiter include medications to shrink a goiter or reduce inflammation, surgeries to remove thyroid, radioactive iodine for people with toxic multinodular goiters, and adding iodine in diet. However, if a goiter is small and does not cause any complications, treatment may not be needed. Goiter is a swelling of the thyroid gland that causes the formation of a lump in the front of the neck. 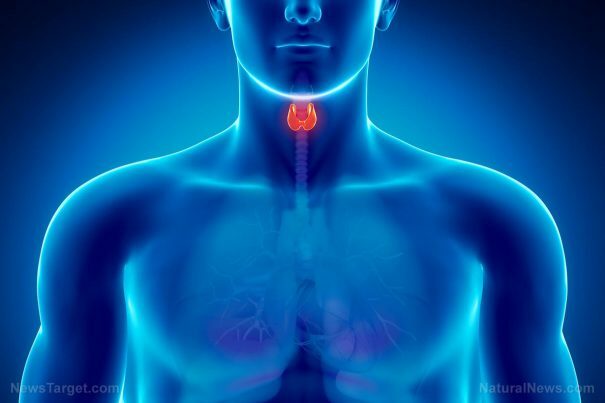 Goiter causes swelling of the thyroid gland, throat symptoms of tightness, cough, hoarseness, difficulty swallowing, and difficulty breathing, possibly with a high-pitch sound. Other side effects may occur due to the underlying causes of goiter, such as hyperthyroidism and hypothyroidism. Goiter harms the endocrine, digestive, and respiratory systems. Goiter can be prevented by including foods rich in iodine in the diet, such as kelp, arame, hiziki, kombu, wakame, cranberries, organic yogurt, navy beans, strawberries, raw, organic cheese, and potatoes. Natural treatments for goiter include the use of garlic, herbal mixtures, green tea, kelp, and bladderwrack. Other treatment options for goiter include medications, surgeries, radioactive iodine, and dietary changes. If a goiter is small and does not cause any problem, treatment may not be required.